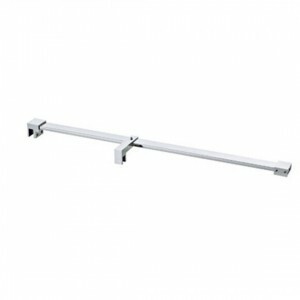 The shower glass support bar is the perfect choice for modern, architectural bathrooms. With its rectangular profile and distinctive beveled detailing, the shower glass support bar is the perfect choice for modern, architectural bathrooms. Our square shower glass bracket is made by stainless steel 304. Tube length can be customized. We can also supply different style of support bars. Our shower support bar can be made by stainless steel 304 or brass. Usually, the connectors are made by brass chrome polished, and tubes are stainless steel 304 polished. Tube length and Dia. can be customized. If you have special design, please feel free to send us for developing.